BIOPOLYMER 2019 | POLYKUM e. V.
Please send me up-to-date information on the congress BIOPOLYMER – Processing & Moulding on 21/22 May 2019 in Halle (Saale), Germany. After Your click on the "Register"-Button we’ll send You an e-mail with a verification link. Please click on this link to activate our service. We choose this path to protect your e-mail from third party misuse. For Injection Moulders.For Processors.For Users. 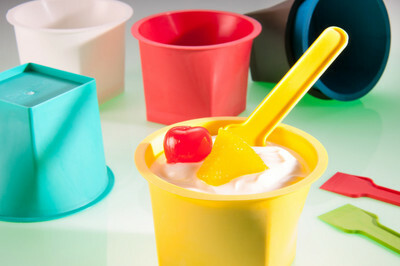 The latest in what processors and users need to know about biologically and biodegradable plastics: compact on two days! Your yearly update at first hand. 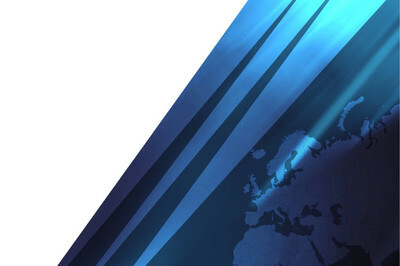 World market leaders and industry pioneers present their latest developments. At the accompanying exhibition you can get to know more about products and technologies. Speakers are available for individual questions at the Speaker's Corner. The evening buffet at the end of the first day offers you the opportunity to talk to industry colleagues. Note the date in your calendar now! Review and Presentations of BIOPOLYMER 2018. Prof. Dr. Michael Braungart (Leuphana Universtity Lüneburg) presents the vision of a society without garbage with the "Cradle to Cradle®" concept. The founder of EPEA Internationale Umweltforschung (Hamburg/Germany) argues for developing products in such a way that they continue to be useful after use in the biosphere and/or technosphere instead of being "disposed of". Is composting always the best option for bioplastics? Dr. Antje Lieske and her team at the Fraunhofer Institute for Applied Polymer Research IAP (Potsdam, Germany) have investigated how PLA waste can be returned to the PLA synthesis process. In her lecture, she explains whether and when chemical recycling is worthwhile from an ecological and economic point of view. Regulation of viscosity and melt strength of PLA compounds. Dr. Inno Rapthel from BYK Chemie GmbH (Schkopau/Germany) presents research results on the modification of PLA using long chain branching. The concepts developed can be implemented with conventional twin-screw extruders. Biocolen®: Bio from polymer to pigment. A masterbatch that is 100% biobased: GRAFE Color Batch GmbH (Blankenheim/Germany) took up this challenge. Project leader Dr. Bert Käbisch presents the most important results of investigations on biobased pigments for the plastics industry. Biological degradation processes take place in different environments such as water, soil, compost or anaerobic digesters and also very differently depending on the material. Dr. Thomas Günther from Eurofins Umwelt Ost GmbH (Jena/Germany) explains how they can nevertheless be tested in a standardised way. A new hot runner nozzle from FDU-Hotrunner GmbH (Nußbach, Austria) opens up new processing possibilities for biopolymers: it operates with lower injection pressure, reduces shear by up to 50 percent, minimizes not only heat and cooling time but also energy consumption and cycle time. Ing. Daniel Schönleitner presents the innovation. Bio-Drying: Material-specific drying processes for bioplastics. A new drying process presented by Marco Siekmann of digicolor GmbH (Herford, Germany) promises particularly material-friendly processing combined with energy savings of up to 40%. The special properties of the continuous mixer from the Farrel Pomini Group (Ansonia, USA) offer significant advantages in PLA processing, such as molecular weight retention, melt temperature regulation and energy consumption. Peter Gohl knows the details and presents them. From the beginnings to multi-cavity moulds with In-Mold Label (IML). 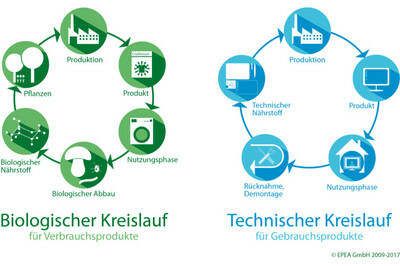 Jörg Kohl reports how the production of compostable packaging at BASF SE (Ludwigshafen, Germany) has developed since the beginning of 2011, how customer wishes and technical possibilities have changed and why critical voices in particular have a large share in the success. 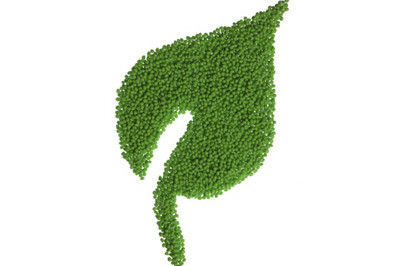 How are 100% bio-based, compostable flat films for the packaging industry made from PLA? Which parameters have to be considered, which material requirements have to be fulfilled, which difficulties have to be overcome? Dr.-Ing. Kristin Riedel presents the practical experience of Folienwerk Wolfen GmbH (Bitterfeld-Wolfen/ Germany) with biodegradable products. Florian Dresel from Hexpol TPE GmbH (Lichtenfels/Germany) presents thermoplastic elastomers for sustainable products of a special kind. 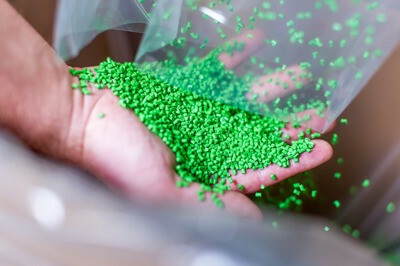 Biobased TPE offers an environmentally friendly alternative to conventional TPE and thus reduces the CO2 footprint. Furthermore, the Franconian company combines TPE with natural materials such as cork, allowing applications such as handles and functional parts to be realised with a visible natural, soft touch. In the 1990s Novamont S.p.A. (Novara/ Italy) helped the biodegradable shopping bag to break through in its home country. Today, for example, it also offers alternatives to conventional microplastics in cosmetics. Sales Manager Friedrich von Hesler analyses the market success of products made of biodegradable materials at a glance, not only with regard to the company's own product range. How have production capacities for bioplastics developed so far and how will the expansion continue on a global scale? Udo Mühlbauer from Uhde Inventa-Fischer GmbH (UIF, Berlin/Germany) answers this question and gives an overview of the most important production technologies in this future sector, including those of his company. Three further lectures are reserved for the winners of the BIOPOLYMER INOVATION Award, which will be announced and awarded at the congress on 21 May. Applications are still possible until 31 March! Monday, May 20th 2019, 6 p.m. to 9 p.m.
Lecture programme and exhibition from 9.30 a.m. to approx. 6 p.m.
afterwards evening event* with barbecue buffet and live music from approx. 6 p.m. to 10 p.m.
Lecture programme and exhibition from 9 a.m. to approx. 4 p.m.
on May 20th 2019, from approx. 1.30 p.m. to approx. 5.30 p.m.
Tickets for the evening event on May 21st can be booked with the "BIOPOLYMER" congress ticket (see below). Tickets for the show and evening buffet as well as for the DigiPlast conference the day before (May 20th) can be booked here. Our tickets are sold by our event partner tivent, where you'll be forwarded in the checkout process. 30% Discount for POLYKUM members on the ticket price. Congress and exhibition are exclusevily addressed to commercial subscribers (not to end consumers). Download our terms and conditions for the event! The accompanying congress exhibition offers service providers, producers and research institutions a first-class platform to present themselves to an interested trade audience. We are offering customized service packages from a single source with our partner, HALLE MESSE GmbH. For example, if you have your own exhibition stand and will be setting it up and dismantling yourself, you can book your exhibition space from just 49€* per square meter. The exhibitor packages Basic (from 84€* per square meter) and Comfort (from 91€*) include various stand construction services. With the Business package (from 110€*) you will additionally get furniture and halogen spots. For freelancers, we have a special package available for 69€*. You can order discounted tickets for your stand personnel in the ticket portal. Electrical connection (230 volts or 400 volts), Wi-Fi, lockable cabins, additional furniture, screen inscriptions or cleaning services can also be booked on request. We have summarized all information for exhibitors in a form, in which you can book your service packages immediately. Download the documents here as a PDF. If you have any questions about the exhibitor packages, feel free to contact Andreas Lehmann, the contact person from creatyp GmbH, the service agency of HALLE MESSE. I cancelled my ticket for the World Championship match Morocco - Portugal to attend the BIOPOLYMER 2018. The announced program convinced me: I have to be there! That was the right decision. Our enterprise wants to scale up the use of biopolymers in Morocco. During those two days in Halle (Saale) I found a lot of contacts which we already had been looking for a longer time! I particularly liked the balance of the presentations. There were not only discussed the advanteges of biopolymers, but also the challenges on the road ahead. The two days gave us many valuable insights – and contacts to potential suppliers. BIOPOLYMER 2018 laid the groundwork for an important event of our branche. It will be a fixed date in my calendar. The initial convention was excellently organized and high-calibre staffed and showed, how important up-to-date information an discussions especially in the field of biopolymers are. The date of the 2019 BIOPOLYMER congress in Halle I already scheduled. The convention was very interesting and informative. I will certainly be in attendance again in 2019! Exhibiting at the BIOPOLYMER 2018 Congress was very worthwhile for us. In addition to the possibility of listening high-quality presentations we had a wide range of detailed, individual discussions with international visitors about our certified compostable bioplastic ecovio® at our booth. We decided to take part in 2019 again. This congress was inspiring for us as exhibitors, because there met scientists, producers, distributors and users from various sectors, such as food, medical, engineering, automotive and more. The BIOPOLYMER Innovation Award honours groundbreaking technological developments that contribute to preparing the way for products made of biodegradable plastics. Applications can be submitted until 31 March 2019. We define BIOPOLYMERS as thermoplastics for injection moulding, extrusion, 3D printing and other kinds of processing, which can be decomposed by micro-organisms or enzyms at the end of their useful life and become part of natural cycles. BIOPOLYMERS should be essentially or completely produced from agricultural ingredients. The HALLE MESSE fair and convention centre is well connected to the A9, A14 und A143 motorways. There are sufficient charge-free parking spaces available. The transfer time from Leipzig/Halle International Airport is about 20 minutes. The S3 city train connecting Leipzig Central Station and Halle Central Station serves the HALLE MESSE stop. City Busses also have a HALLE MESSE stop. Please take the lines 43 und 26.
is the heart of the central German “chemicals triangle”. The town was essentially characterized by the regional development of chemical and plastics industries during the last century. The large enterprise facilities of Buna and Leuna, but also of Bitterfeld and Zeitz nearby today are successful Chemical Parks. Big global players like Dow Chemical, Total or Bayer are based here, but also medium sized and small businesses. Companies of the chemical and plastics processing industries, but also innovative service and logistic providers mark the economical townscape of Halle itself today. Many start-ups have their origin at the science and business parc Weinberg Campus. It is located in the green heart of the town, where institutes of the Fraunhofer’s and the Max Planck's, the Leibniz’ and the Helmholtz’ Societies are just as at home as institutions of the 300 years old Martin-Luther-University. Halle is known as one of the most important site of Martin Luthers’ life’s work as well as the birth place of George Frederic Handel. The historical city of Halle was the only one among Germanys major cities that remained nearly undestroyed during World War II. This makes it easy to experience the millenary history of Halle which is closely connected with the legendary Halloren salt miner brotherhood. is the only privately built and operated fairground in Eastern Germany. The company offers an indoor exhibition area of about 12,000 squaremetres in several halls. The BIOPOLYMER – Congress & Exhibition provides Hall 4 and the spacious foyer - together more than 1,700 squaremetres. Exhibitors can book special services like individual power connection or fair construction/stand building. Which target groups is the event aimed at? The BIOPOLYMERS – Processing & Moulding congress is one of the most important trade gatherings of 2018, particularly for those injection moulders, plastics processors, material developers and users focusing increasingly on sustainable products (or who plan to do so), because it will be geared around issues of pressing importance to experts. These will be discussed in the entrepreneurs’ own language.